FIRST Alum Troy Douglas participated on FIRST Robotics Competition Team 270, the Deer Park Falcons, from Deer Park, New York, which helped solidify his path toward engineering. 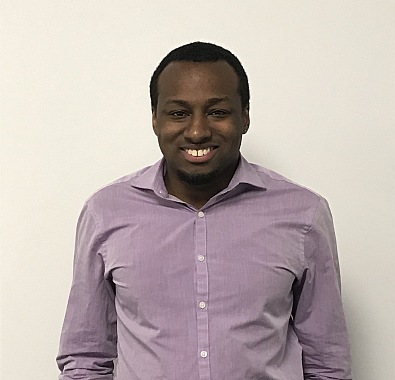 Now working alongside FIRST Alumni as a customer solutions mechanical engineer at Festo, Troy gives back as a volunteer and mentor, helping shape future generations of students on Long Island, New York. “The best part of mentoring and volunteering is the ability to give back the unique experience of working alongside professionals to achieve a common goal,” Troy says. I graduated from high school in 2006 after being on my FIRST Robotics Competition team for four years. After graduation I went to Suffolk County Community College for two years and received my associate degree in engineering science, before continuing to Stony Brook University in their accelerated (five-year) Bachelor of Engineering/Master of Science program in mechanical engineering. I chose this path because on Long Island, Stony Brook is where it’s at for engineering, and starting at Suffolk helped alleviate some of the cost of going to school for so long. Since 2014, I have been working at Festo (a FIRST Robotics Competition Gold Supplier), where I am currently a customer solutions mechanical engineer and where I get to work with lots of other FIRST Alumni. I’ve stayed really, really involved with FIRST on Long Island. On Long Island, we have development councils to help manage and execute all four FIRST programs. I serve on each council to help support and plan events across the island. I’m also involved as a volunteer across three of the four FIRST programs. I’m the Long Island head referee for FIRST LEGO League, the field manager for FIRST Tech Challenge, and a head referee for FIRST Robotics Competition as well. Plus, I mentor three FIRST Robotics Competition teams (shout outs to 6806, 6882, and 1468!). What advice do you have for other FIRST Alumni who want to get involved as FIRST volunteers and/or mentors? Just jump in! Whether its mentoring your old team, a new team, or volunteering at events, the best part of mentoring and volunteering is the ability to give back the unique experience of working alongside professionals to achieve a common goal. The reason why I keep volunteering really is because of the students. What I love about the programs is getting to see that moment when a student who never thought something was possible, look back on the season and see how far they’ve come and where their FIRST journey can take them. One of my favorite memories was at the end of a FIRST Robotics Competition build season, I had a parent come up to me and tell me that her son couldn’t stop talking about how I taught him how to use a milling machine -- a student that, prior to FIRST, had almost no experience with tools but now couldn’t keep his hands off of them. FIRST really is more than just robots. The FIRST programs represent a journey to instill confidence, teamwork, passion and Gracious Professionalism to help shape the future generation. How has your FIRST experience impact your post-graduation life? I’ve made so many friends (including my current girlfriend) through FIRST. Two of my heroes back in high school were the coach of our team (Chuck Burg) and one of the mentors (Paul “Pak” Keker). Looking back at how they were able to help me grow as a person over my four years on my FIRST Robotics Competition team really inspired me to do more after I graduated. When I entered high school, I knew that I liked to tinker and take things apart to see how they worked. FIRST really solidified that the path that I wanted to go into was engineering. Now, I get to design systems used for factory automation around the globe. You shared that you’ve made and kept great FIRST friends/established a great network within the FIRST community. Any advice to current participants on how to do that? Stay engaged! Try to connect with your local FIRST Alumni group. If you don’t have one, create one! FIRST is also an amazing networking tool. I have met so many great contacts just by mentioning my FIRST experience and knowledge of the four programs. The most important thing is to enjoy every moment of it and take advantage of every opportunity that comes with it.